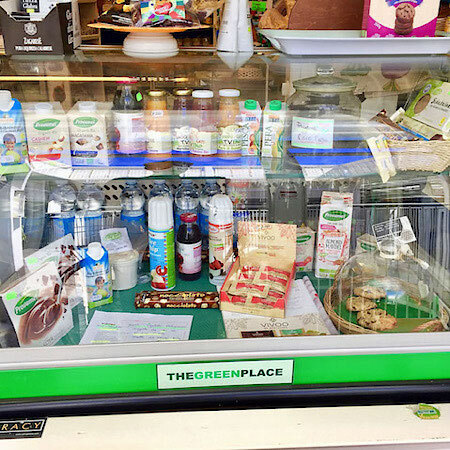 There is a fantastic one-stop vegan shop in Rome with an enormous selection of vegan foods, products, and more! It's a must-see. 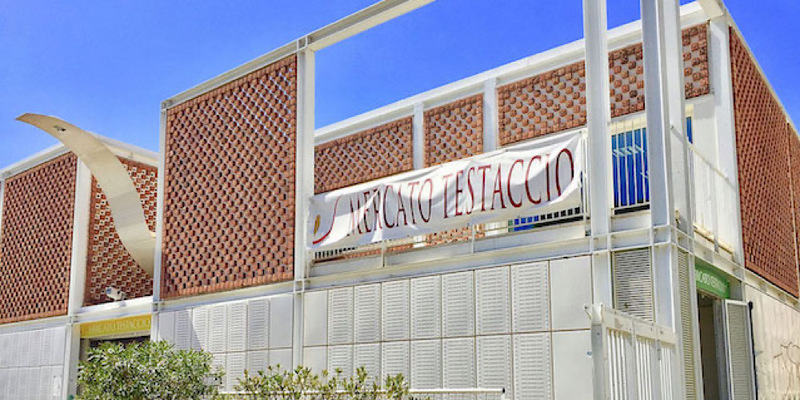 Located in a large open market called Mercato Testaccio, at Stall Number 83, is Vegan Store. 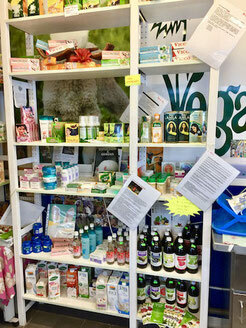 Barbara, the owner of this awesome shop, is an ethical vegan, as well as extremely knowledgeable, vibrantly passionate, and positively overflowing with energy! Her spark is quite a necessity in the market, since the store is not only in a building that used to be a slaughterhouse, but also surrounded by butchers and meats. But, persist, she does! 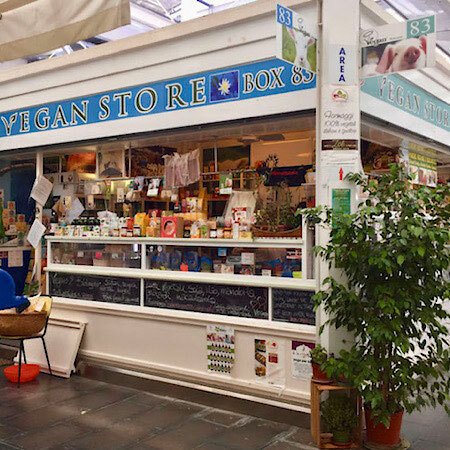 And thank goodness, because this little shop is an utter vegan heaven! 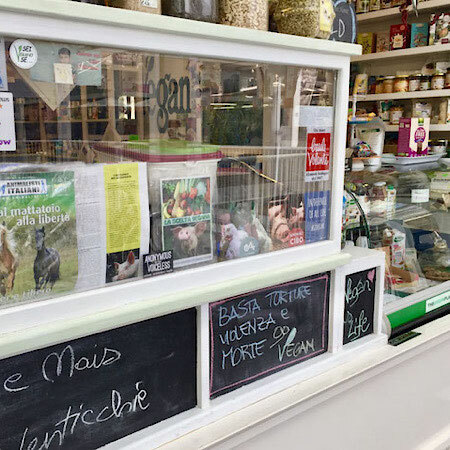 This shop has everything and anything a vegan (or anyone) could ever want. 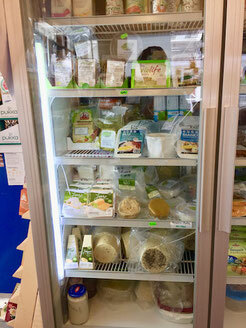 There's staples such as fresh and shelf stable foods such as rices, beans, meats, cheeses, milks, condiments, baking goods, spices, teas, beauty products, and more. Find special goodies like burgers, hot dogs, tuna, roasts, whipped cream, pudding, mayonnaise, parmesan, yogurt, egg replacers, and toothpastes, soaps, shampoos, and henna hair dye. And, no palm oil! 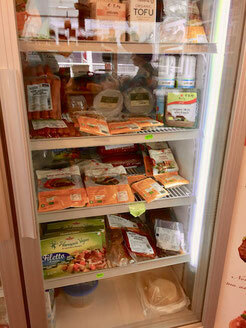 There's a selection of juices, plus tons of treats and desserts like candies, cookies and cakes. There's also a deli section where she serves fresh, custom made sandwiches using delicious Italian-made meats and cheeses that she's happy to slice up and even let you sample for free! Good luck choosing; they're all amazing. The Black Pepper Tuscan cheese is to die for! Come prepared to buy a ton of stuff! Stock up on staples, grab your favorites, and try new discoveries. Everyone does. I did, too. And don't worry if you don't have a re-usable bag, you can grab one of these colorful, bold prints from Roots of Compassion. Represent! 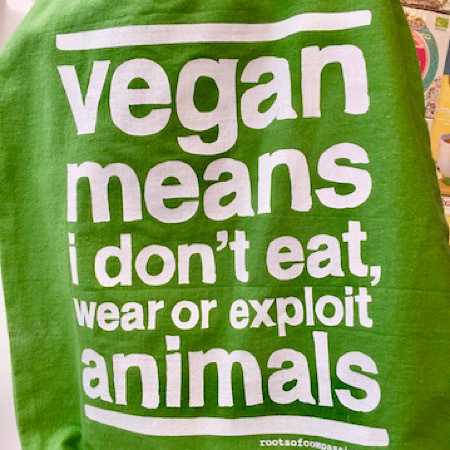 When in Rome, go support Vegan Store at Mercato di Testaccio, Via Lorenzo Ghiberti 19, Rome. Open Tuesday through Saturday from 8:30am to 2:30pm.